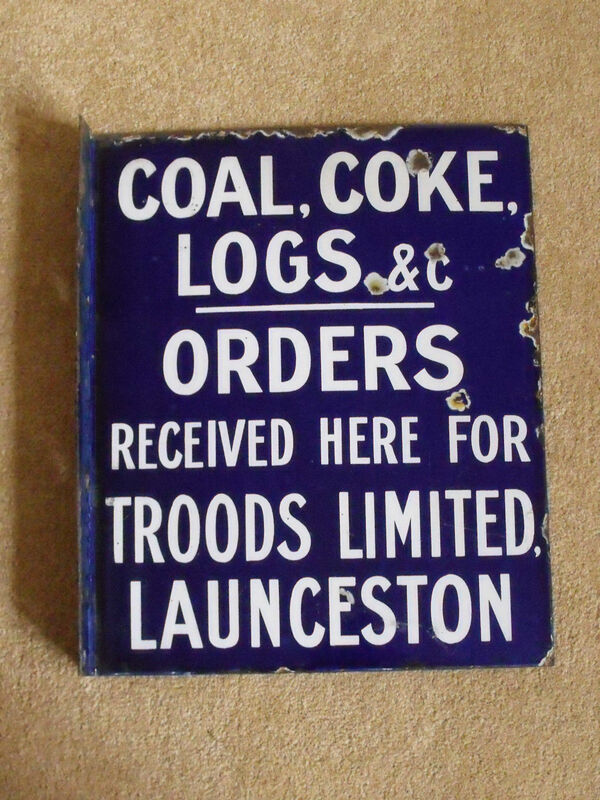 Thomas Pomeroy Trood | Launceston Then! 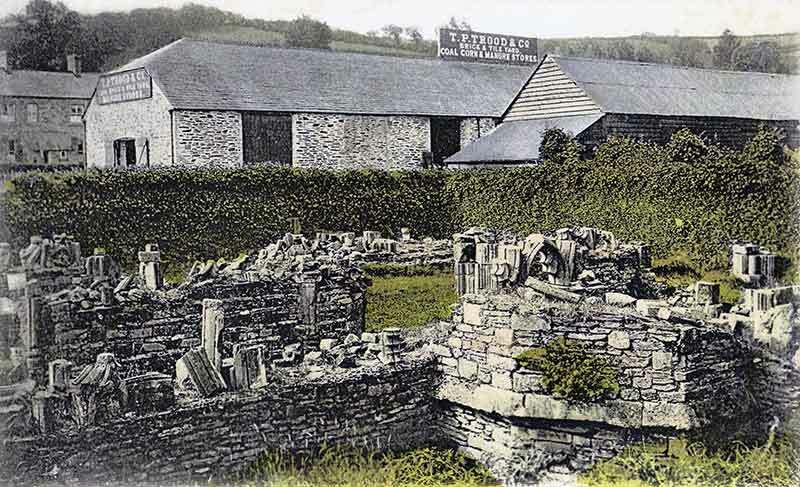 Thomas was born in December 1845 to John Bryant and Charity (nee Ching) Trood at Chapple House, Morwenstow. He was one of three children that John and Charity had. 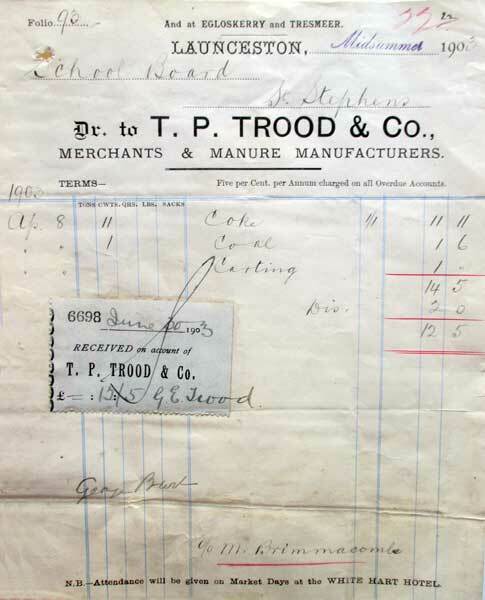 John Trood was a farmer of 100 acres. On attaining the age of 21 in 1866 he inherited the sum of £100 bequeathed to him by his Grandfather Thomas Trood on his death in 1856. 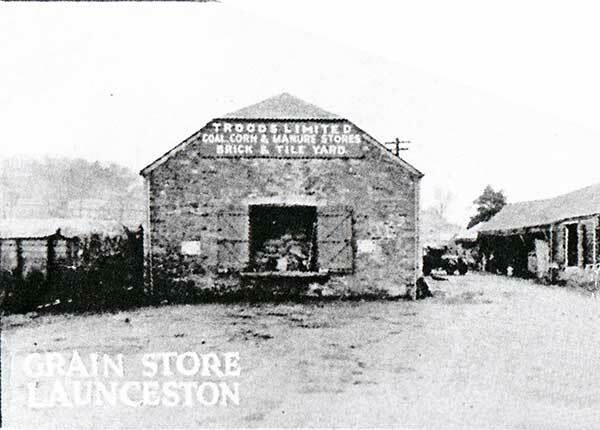 This sum helped him set up in business as an agricultural merchant in Launceston. 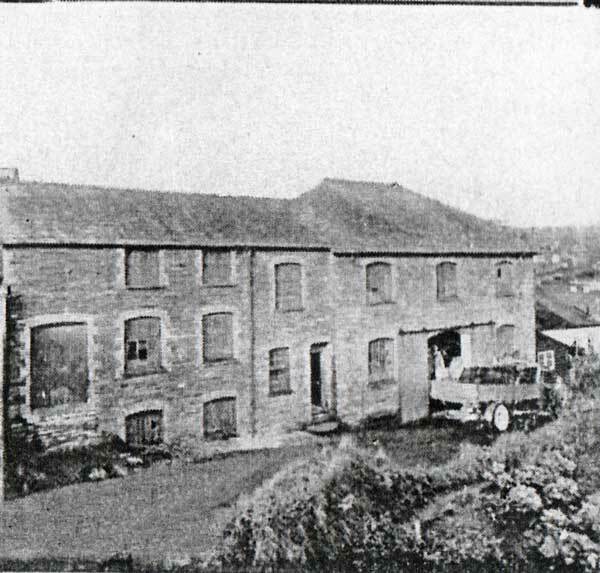 In 1870 he married Jane Webb of Liskeard and they set up home at Dockacre House, Horse Lane (now Dockacre road). By 1881 they had moved with their family of seven children to 1 Ridgegrove Villas, Launceston. By 1891 they had moved again this time to Newport House (St. Josephs), Launceston and by 1906 they had moved again to Hendra, Dunheved road.They stayed until their final move to Broomhill, Tavistock road in around 1910. 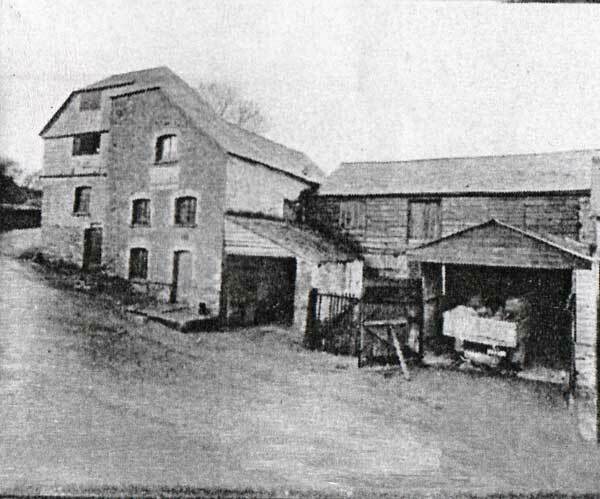 His business operating out of Town Mills, continued to develop and included Priory yard which had its own railway siding running off the main North Cornwall Railway line. In 1874 he was elected to Launceston’s town council becoming mayor in 1878 a role that he performed on a further four occasions. 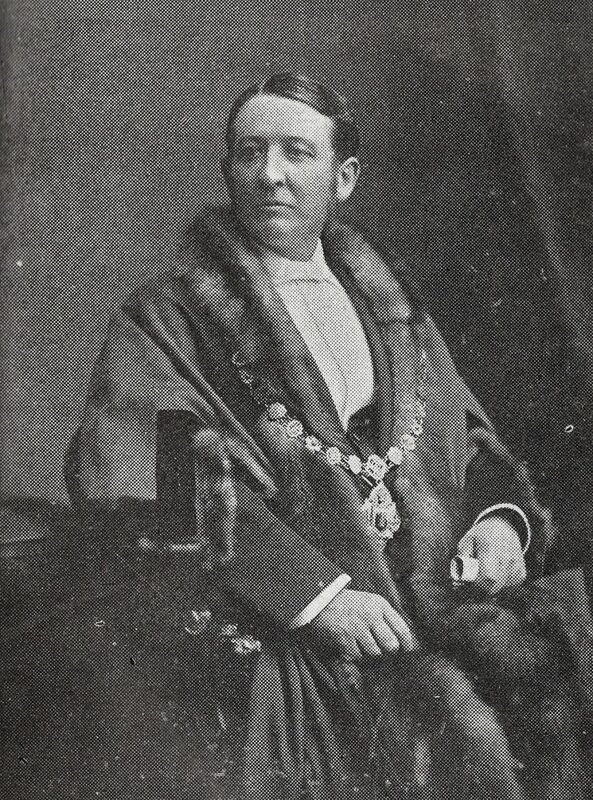 During his mayoralty of 1895-97 (two year appointment) the starting of the public library movement began plus the new sewage works were commenced as well as the inauguration of the Jubilee Public baths at Underlane. It was also in 1897 when on the visit of Queen Victoria on her diamond jubilee he was presented to her and received the Jubilee medal. It was mainly through his initiative that the clock in the Guildhall was given. He also represented the borough on Cornwall’s county council and also as a member of the Cornwall Standing Joint Committee. 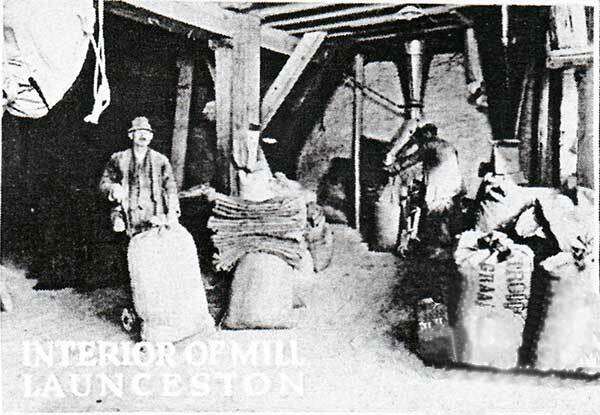 He was also a Justice of the Peace for Launceston, being on of the first magistrates appointed when the Commission of Peace was granted. In 1906 he was sworn in as a Justice of the County of Devon serving on the Lifton bench. Thomas was one of the founders of Dunheved College in 1873. Thomas was also a Past Master of Lodge Dunheved of the Freemasons. A staunch Wesleyan he held the offices of circuit and chapel steward and was a trustee of the Wesleyan Chapel in Castle street. He was also on the committee of the Rowe Dispensary and Infirmary being one of the eldest members. He was also the chairman for many years of the Launceston Carnival committee. In 1919 his wife, Jane passed away which was a big shock to him and in 1924 he suffered a seizure whilst visiting his dentist and he passed away a fortnight later on the 9th of February aged 77. The company he started and successfully built up continued to prosper after his death being run by his sons. In 1936 the company amalgamated with Fulford, Trumps and W. Bate and son and became Fulford, Trumps and Co. Ltd.